The Warriors were the first team to be picked at the draw, held against a spectacular background of the Pyramids, and were immediately thrust into Group A which is headlined by the hosts who will be staging the tournament for the first time in 13 years. Sunday Chidzambwa and his troops will also have another duel against the DRC, who were in their qualifying group, and Uganda, in a tough Group A. The Warriors took four points from the Congolese, beating them 2-1 in Kinshasa before the two teams battled to a 1-1 draw at the National Sports Stadium where Knox Mutizwa's goal, which could have given the hosts a two-goal lead, was controversially disallowed by Egyptian match officials. And, at the end of the qualifiers, the Warriors found themselves enjoying a two-point cushion, at the top of their group, having the luxury of knowing that even if they had donated the three points they won in Kinshasa to the DRC, they would still have made it to the Afcon finals. The Warriors have never played the DRC and Uganda at the Nations Cup finals. Mustapha Hadji, one of the best players to come out of the continent who starred for Coventry City and Aston Villa in his career, was the star who picked the Warriors from the hat. That meant Zimbabwe would have to play Egypt in the first game in Cairo, the first competitive duel between the two nations in that city since that ill-fated World Cup qualifier in 1993 which the Pharaohs won 2-1 only for Fifa to nullify the result and order a replay. 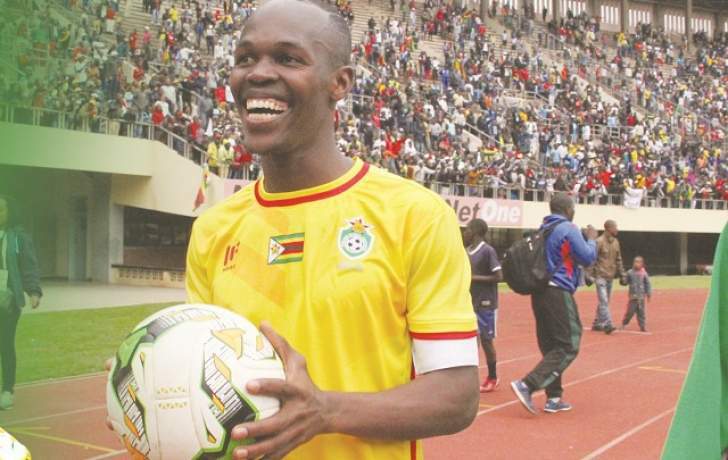 The two teams also met in the 2014 World Cup qualifiers in Alexandria and Egypt needed a controversial last-minute penalty, converted by Mohamed Aboutrika, for them to steal a 2-1 win after Knowledge Musona had scored for the Warriors. Salah then scored a hattrick at the National Sports Stadium as Egypt raced to a 4-2 victory. With the top two teams guaranteed of a place in the knockout rounds, and the four best third-placed sides also going through, the Warriors can fancy their chances because they can compete against the Pharaohs while they should do fine against the Congolese and Uganda. The format could mean that one win, in the group games, might be enough for a team to go through to the knockout stages depending on results elsewhere. "There is a country that we never mention and I think their potential is massive,'' retired former South African footballer Stanton Fredericks, who was a pundit on SuperSport last night, said in reference to the Warriors. "We have so many of their players playing in our local league and that's Zimbabwe, very exciting brand of football, going forward. The Warriors have been impressive in recent years and were the only Southern African nation at the 2017 Afcon finals in Gabon.